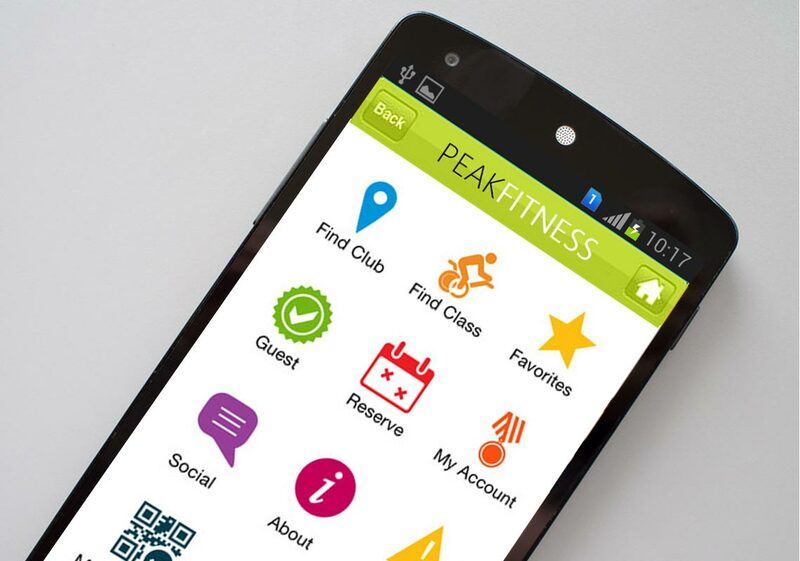 Peak Fitness is a family own fitness club located in California with several locations within Los Angeles and Orange county. 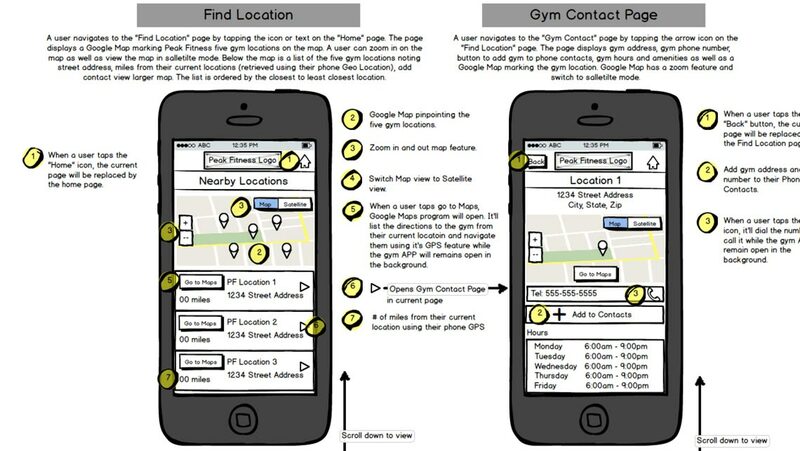 They also sell fitness gear. 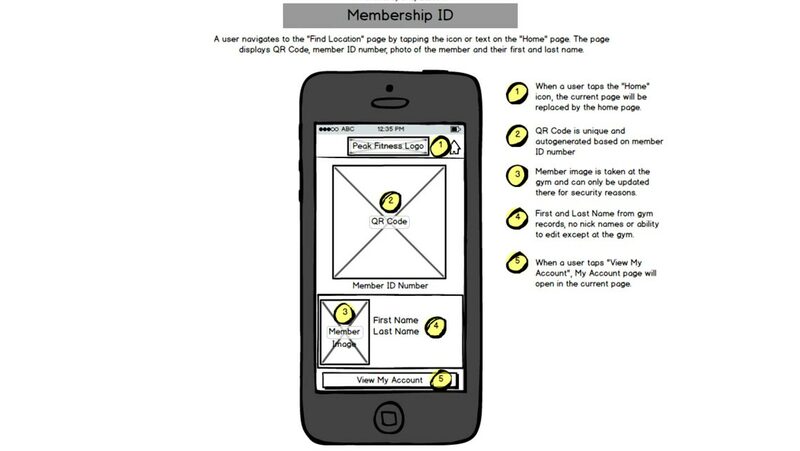 They wanted a mobile app that allowed existing members to register for classes, renew membership, buy merchandise and track their works outs and diet. 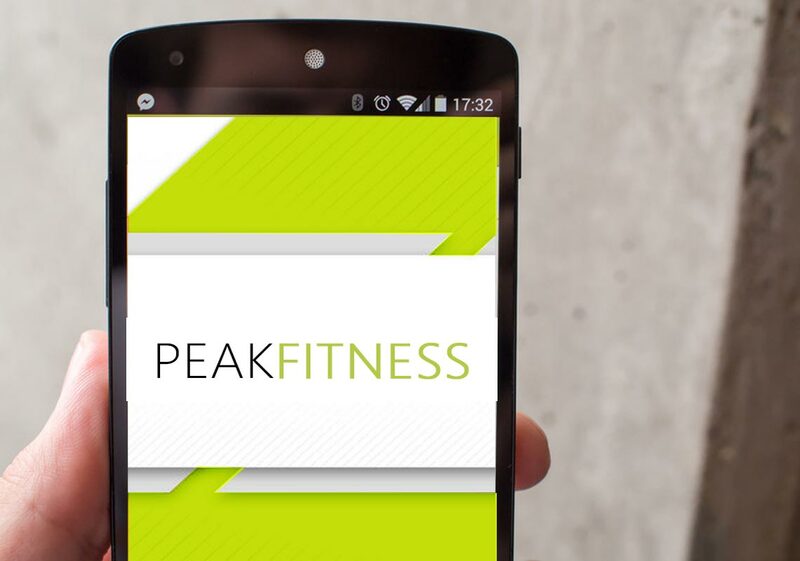 Peak Fitness needed a mobile app that can be viewed on both IOS and Android since their customers used both devices. 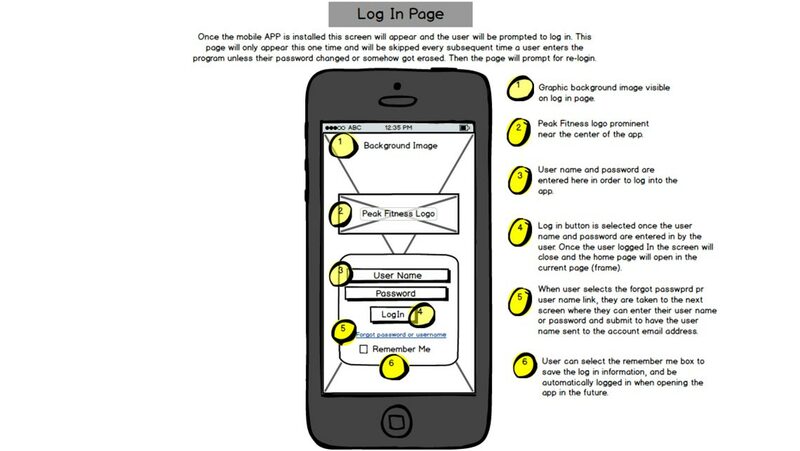 The mobile app should be available to tablets and ipads as well for the customers who use those type of devices instead of phones. 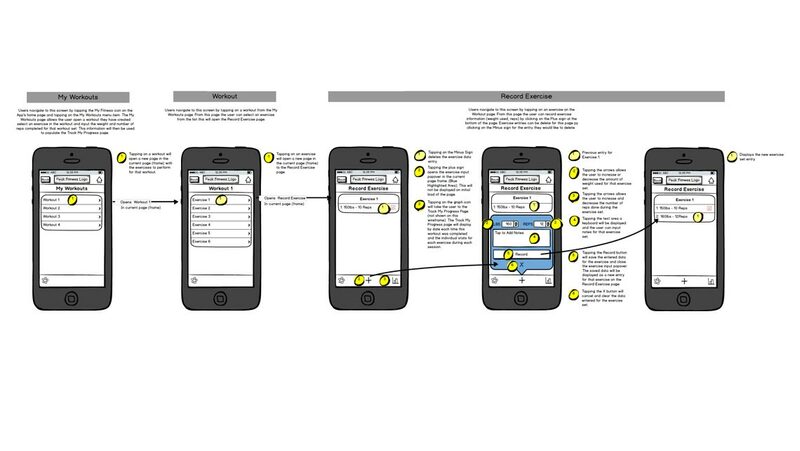 However due to their tight timeline and budget, it was best to use PhoneGap to create the app instead of two native ones. 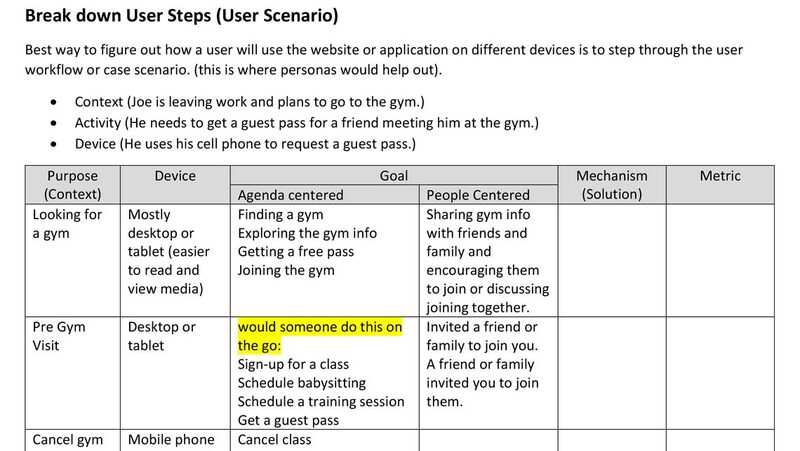 I spoke to stakeholders and customers to determine the app goals and needs for each group. 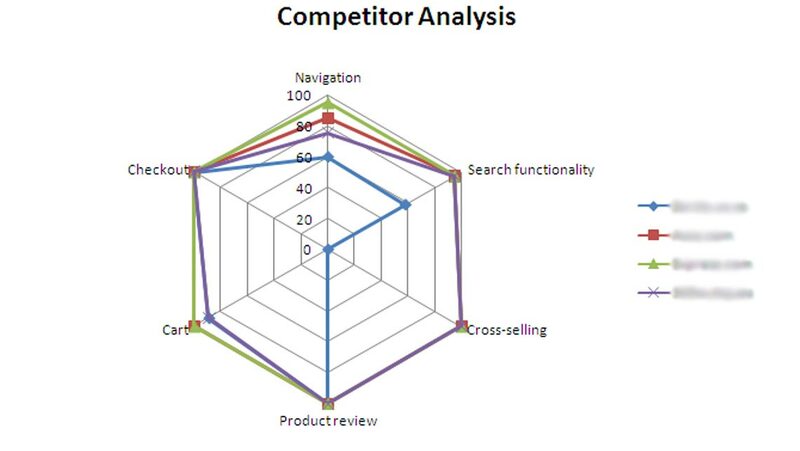 I then performed user and competitor research to determine design patterns and trends. 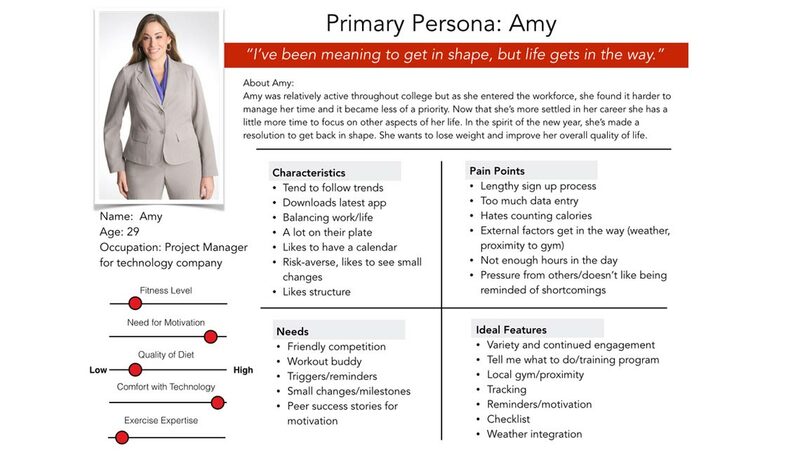 From my research I was able to create several persona's and customer journey maps of each group to help aid in deciding the best platform and features to use for the app. 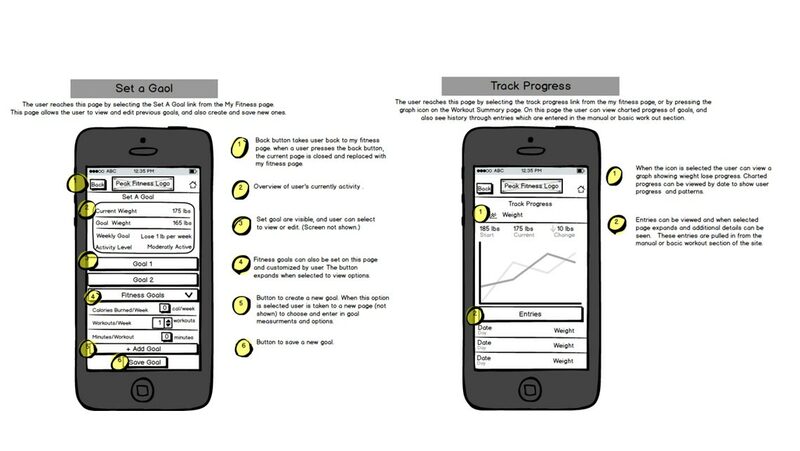 Based on customers needs and usage of multiple mobile devices, I determined it was important the app should be designed for both Android and iOS using Adobe PhoneGap. 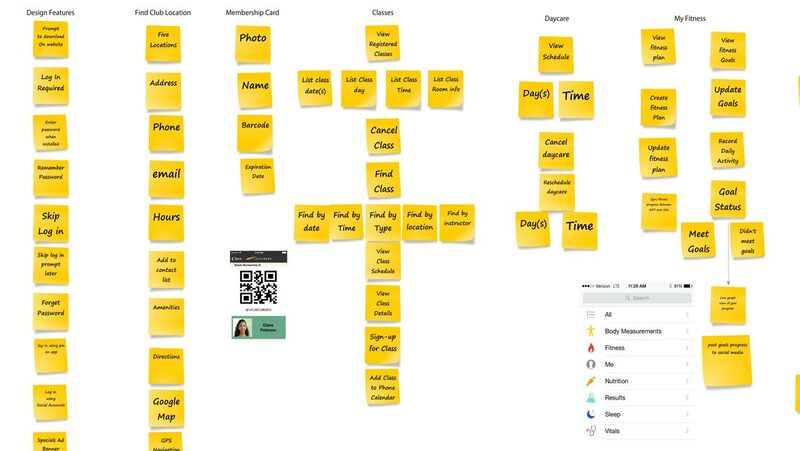 I pulled together the stakeholders and used affinity diagram to organize content. 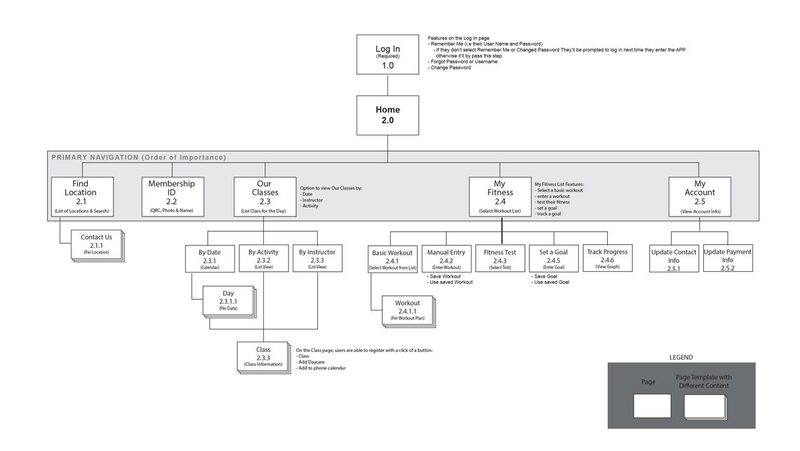 I then created a sitemap and used card sorting to design the navigation. 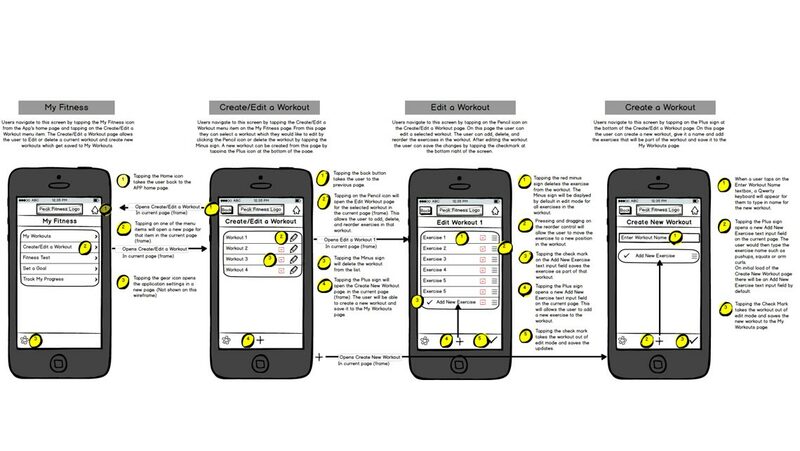 I created wireframes utilizing competitor research and design patterns. 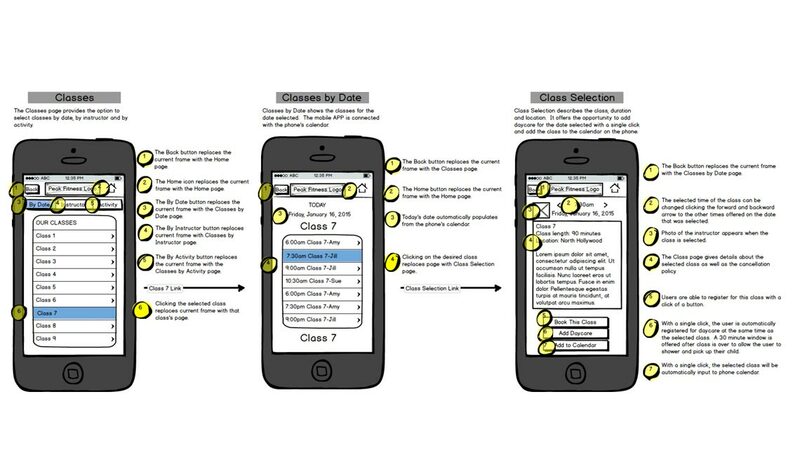 After the stakeholders approved the designs, I converted them to high-fidelity clickable prototypes. 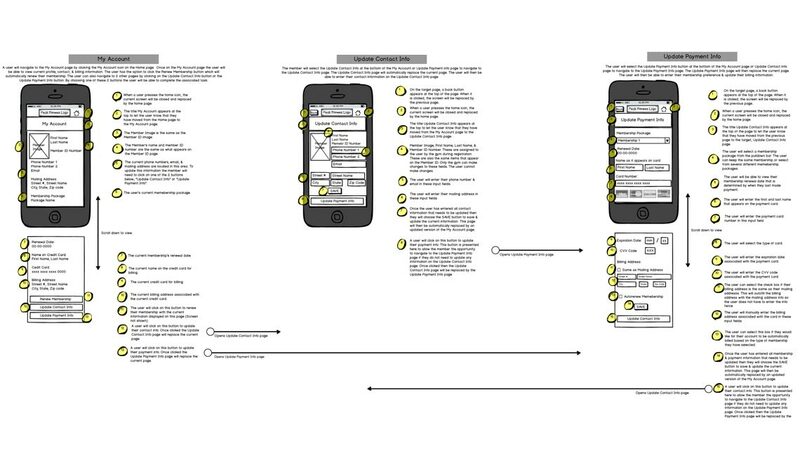 I conducted remote usability study of potential users. 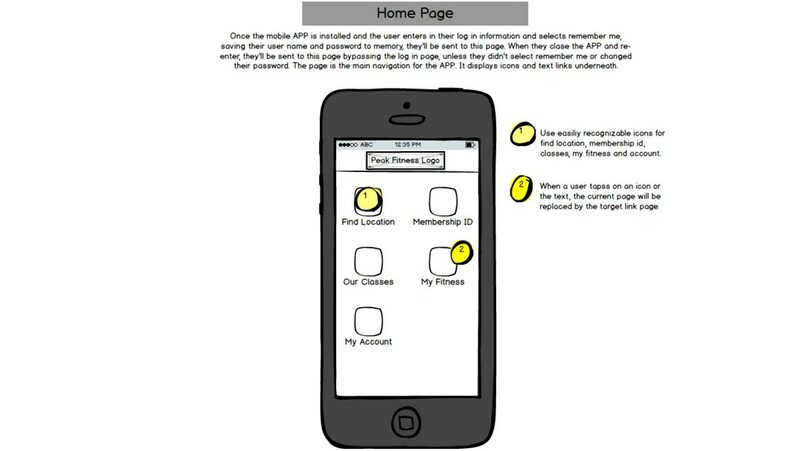 The goal of the study was to test the prototype and determine if they could easily find information and join. 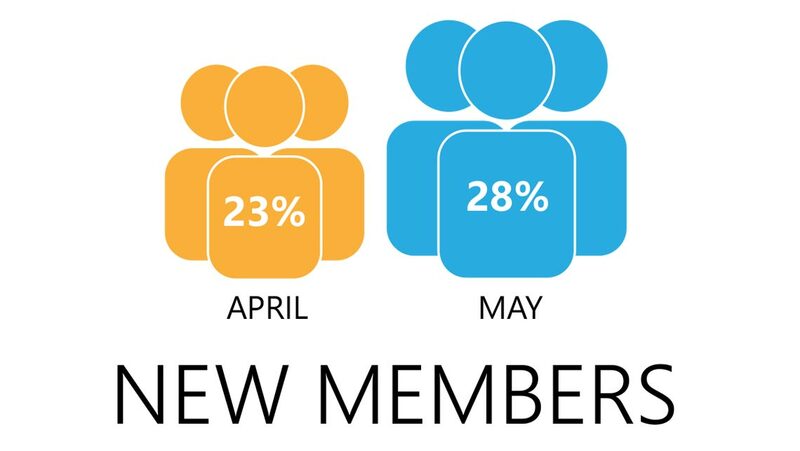 After implementing the new app, member renewals increased from 23% to 28%. 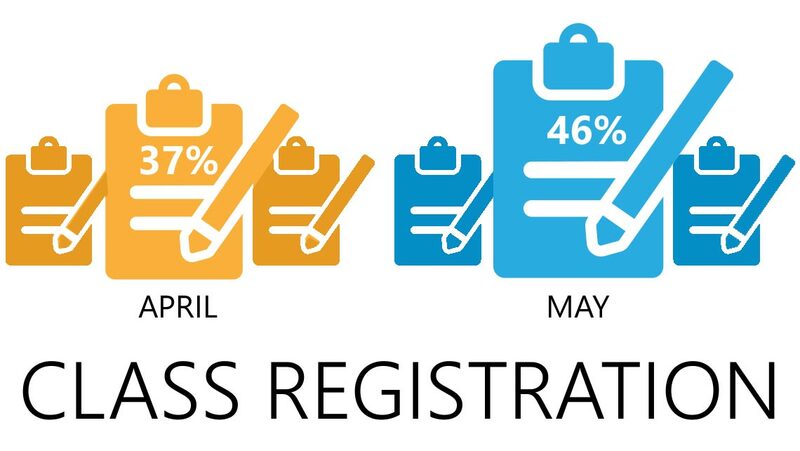 Registration of classes by members increased 46% from 37% in the first month. 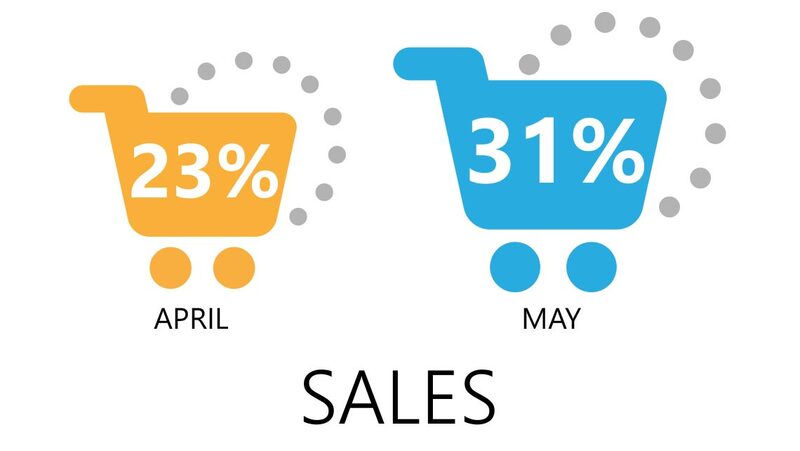 The monthly sales of fitness gear, equipment and food increased 31% from 23%.